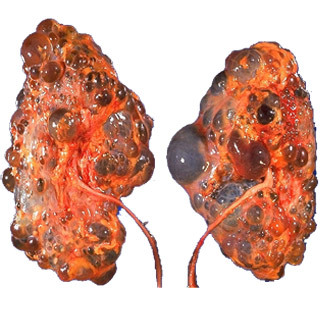 A new era is coming for polycystic kidney and liver disease. Lots of studies being conducted lately, largely single centered but showing promise in the near future on two possible drugs to decrease cyst volume. We have heard a lot about sirolimus and its effect on the cyst volume and trials showing that it will decrease cyst volume. There is data that if volume is decreased,then the progression to ESRD slows down. Another drugs is the somatastatin analogues used in neuro endocrine tumors. Three recent trials have shown promise. Long term data is still needed and more larger studies that are multi centered to validate data.